Having always been very curious about and inspired by nature, Nadia studied in biology. She enjoys being involved in projects that take care of the environment and that encourage people to be responsible consumers. 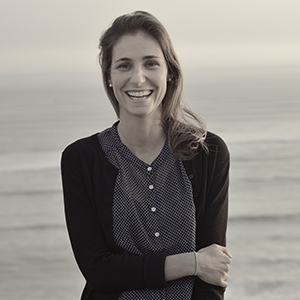 Currently she runs a social enterprise in Peru called Life Out OF Plastic- L.O.O.P. which takes care of the oceans by inspiring businesses and consumers to purchase products that promote a conscious lifestyle. It aims to create a self-financed movement that takes action on plastic pollution, promoting marine ecosystem conservation. This 2017 Nadia is taking a year off Peru. She started travelling to Australia where she studied Environmental Management, then travelled around Indonesia and is finishing the year doing a post-graduate degree in Social Innovation Management at Amani Institute.